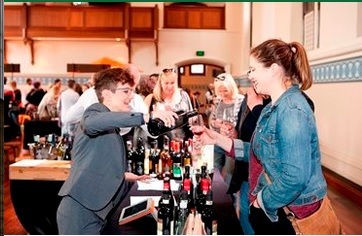 If you are a fan of Italy, its scrumptious cuisine and its delicious wine, indulge in some of Italy's finest food and wine at the Perth Town Hall at the corner of Hay Street and Barrack Street on September the 10th from 10am to 9pm and September the 11th from 11am to 5pm. 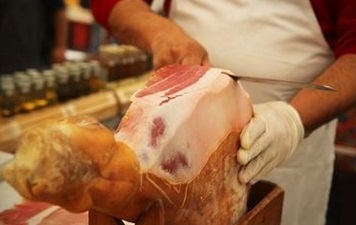 If you can't fly to Italy, let the best of Italy come to you. Brought to you by the Italian Chamber of Commerce & Industry in Australia – Perth Inc., taste over 100 new Italian premium wine varieties including Sparkling, Red, Rose and White directly from the importer or producers from regions such as Veneto, Sicily and Tuscany. Shop from a variety of quality Italian foods made fresh by some of the most talented Italian chefs while listening to a selection of Italian chart hits at the Festival Market stalls. Ask for your favourite Italian dish, there are chefs available to cook for you live on the spot, showcasing their traditional cooking methods. A variety of food featuring pasta, tiramisu, cold meats, fruits and veggies, gelato and Italian patisseries are available to engage your senses. Culinary master Roberto Dal Seno will also be flying into Perth for cooking demonstrations. His cooking shows are alternated with pizza making by Il Paiolo Catering, cake decoration by Sweet of Daddy from the Italian city of Vasto and fish soup creation by Maurizio Restaurant. To celebrate Festival Italia week, Italian restaurants in Perth offer special menus and dishes during the weeks leading up to the festival. On the 17th of September, a showcase of Italian grape varietals grown by Australian producers is featured at the Fremantle Yacht Club. There are also a host of free activities outside on the lawn at Cathedral Square. In collaboration with Festival Italia, try your hand at bocce and join a workshop or taste the flavours of Italy from the Chi Cho Gelato cart or watch an Italian car display featuring the Fiat, Ferrari and Alfa Romeo. Your kids will be entertained with Italian storytelling and craft as well as a free soccer workshop. Could you please include in your writings if the various places/venues are wheel chair acceptable & if they accept companion cards which enables the person with a disability to be able to be taken to the various venues. Just a thought.